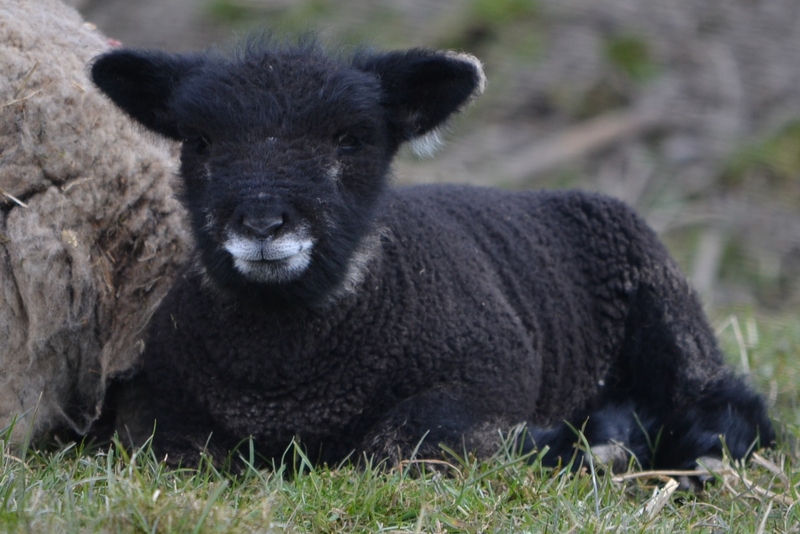 Lambing started with Blackie producing twin ewe lambs at 11pm, on 17 March, the day she was due. Not to be out done and because she wasn’t allowed to have Blackie’s lambs, Tap delivered her own twin ewe lambs at 3am, on 18 March after waiting for me to go to bed for 2 hours. I had been quite anxious about her lambing because she had a difficult lambing in 2011 resulting in her lambs dying at birth and she had been barren in 2012. However, she delivered all on her own and was busy bonding with her daughters by the time I arrived back in the lambing shed. 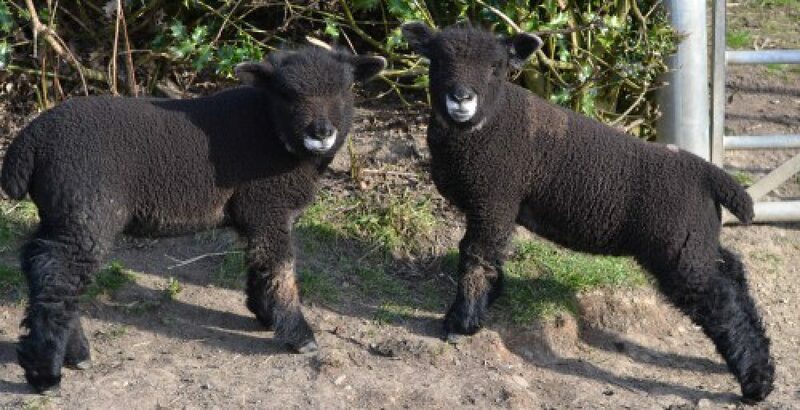 Priscilla waited until 19 March to produce her first lambs, a huge ram lamb followed by his sister who needed some assistance due to her having a leg back. I spotted this problem early and quickly intervened to bring the leg forward and deliver the lamb. Whilst the lamb was of a good size and had not been unduly stressed by its birth, she failed to get up on her feet and due to the deteriorating weather she was beginning to show signs of hypothermia. I made the decision to take her away from her Mum, to get her warmed up and to feed her some colostrum. After a bit of a battle, she seemed to be improving and by the following morning she was feeding well from a bottle, but this was not to last and she died that evening having never got to her feet. 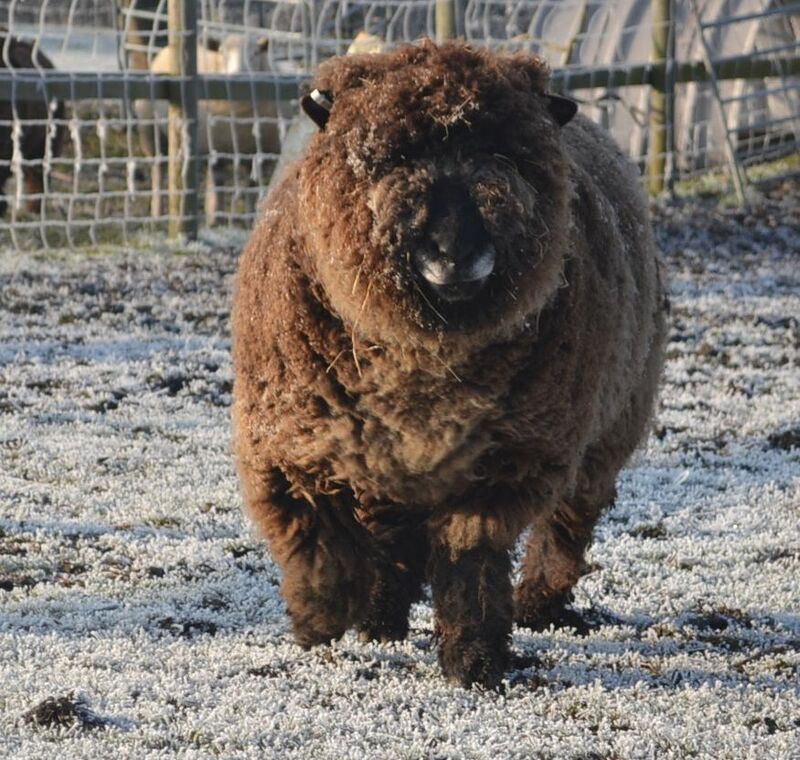 There appeared to be no obvious physical reason for her not to stand, (schmallenberg always at the back of my mind), but Priscilla had never paid her much attention so I believe she knew that there was something very wrong and she would not survive. The weather was getting increasingly colder, with a bitterly cold east wind and snow was forecast in the next couple of days. The new born lambs were safely penned with their mums, but my concern was the risk of lambs being born outside as they would never survive the freezing temperatures. I made the decision that if a ewe was due to lamb, she would have to stay in the shed and those who weren’t immediately due could go out in the day but were brought in at night. This worked fairly well for most of the ewes except for Patch who likes to do things on her own and would prefer to lamb outside in the field. On 21 March, Patch had shown every sign of being in labour from about mid-morning and had been wanting to be let out. I had been keeping a close eye on her all day and by 7pm I was freezing cold and in need of a hot meal. During the 45 minutes it took me to get warm and eat my dinner Patch produced her lambs, another ewe and a 2nd ram lamb. Then the snow started…… It snowed for the next 36 hours giving us 9-12 inches of lying snow, but due to the fierce east wind, drifts of 6-8 feet. We had a few days in which to catch up on some sleep before Pandora was due to have her lambs. This was a relief as much of my time was spent getting water and feed to last years ewe lambs and my horse who are on land a few miles away from home. I have decided that I really must buy a plastic sledge for next winter because it has got to be the easiest way to move hay and water around in these conditions! Pandora produced twin ewe lambs at 11pm on 27 March. Unusually both presented with a front leg back, but again this was identified early so assisted by my future son-in-law, Jack, I intervened to bring the leg forward before delivering the lambs. Four days after she was due, Nadia eventually produced her twins. Again I had been anxious about her lambing because she had difficulty last year, with a big single lamb who had died at birth. Nadia had been given an injection of calciject, 24 hours earlier, because she had seemed quite ‘flat’ and at this stage of pregnancy there is a risk of metabolic disorders. This seemed to do the trick and she was soon much better. She had a good-sized ram lamb who was quickly on his feet and suckling. This was followed by another ewe lamb, but she quickly gave me cause for concern because like Priscillas ewe lamb she seemed unable to get to her feet. After 40 minutes we decided to tube feed her some colostrum because it is important to get this in to the lamb as soon as possible. About 30 minutes afterwards the lamb managed to get to her feet and suckle from her mum. She is now doing well, but is smaller than her sibling and the other lambs so will not be registered with the Ryeland Flock Book Society. Two nights of sleep in my own bed were most welcome before the last lamb was born at 3am on 03 April. This was to Polly who has been causing us problems for the last three months due to her habit of putting herself on her back. This is not good for any sheep pregnant or not. The lamb was a big ewe lamb who needed some help to be born due to her size, Polly being a first timer and also not being very big. All the ewes and lambs are now out in the field and doing very well, enjoying the first signs of spring. The final count was 9 ewe lambs and 3 ram lambs. 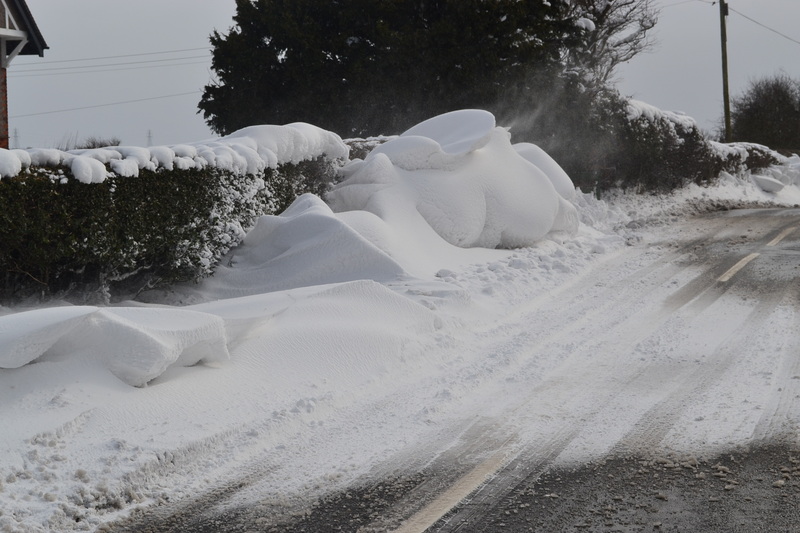 The whole of this years lambing period was carried out in the coldest March since 1963. I was lucky because I was able to bring all my ewes and lambs under cover, away from the worst of the weather. 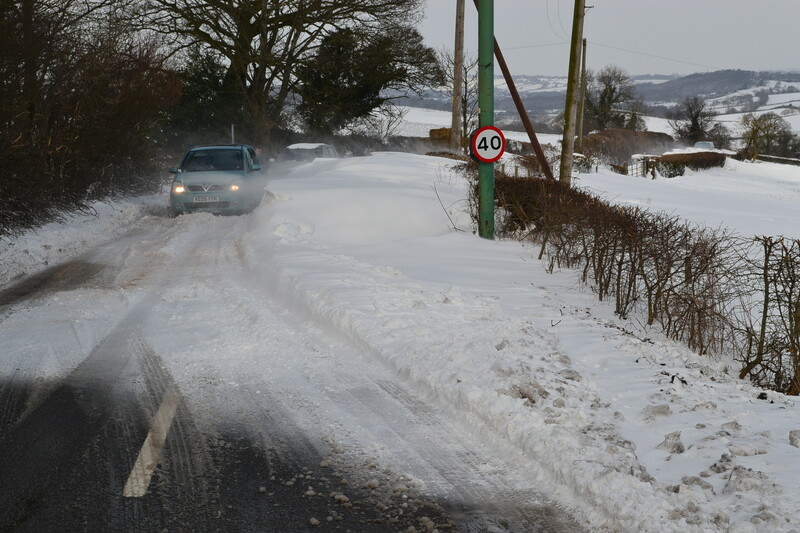 This wasn’t the case for many farmers and 1000’s of ewes and lambs perished under snow drifts and lambs were found frozen to the ground where they had been born. A friend of mine only lost 6 lambs out in the fields, but lost many more newborn lambs in his lambing shed due to hypothermia. British farming is heavily regulated with cattle passports, sheep electronic ID and high standards of welfare. This isn’t necessarily the case in the rest of Europe or throughout the rest of the World. So, if you want to be sure where your food comes from and want to support our farmers – Buy British. 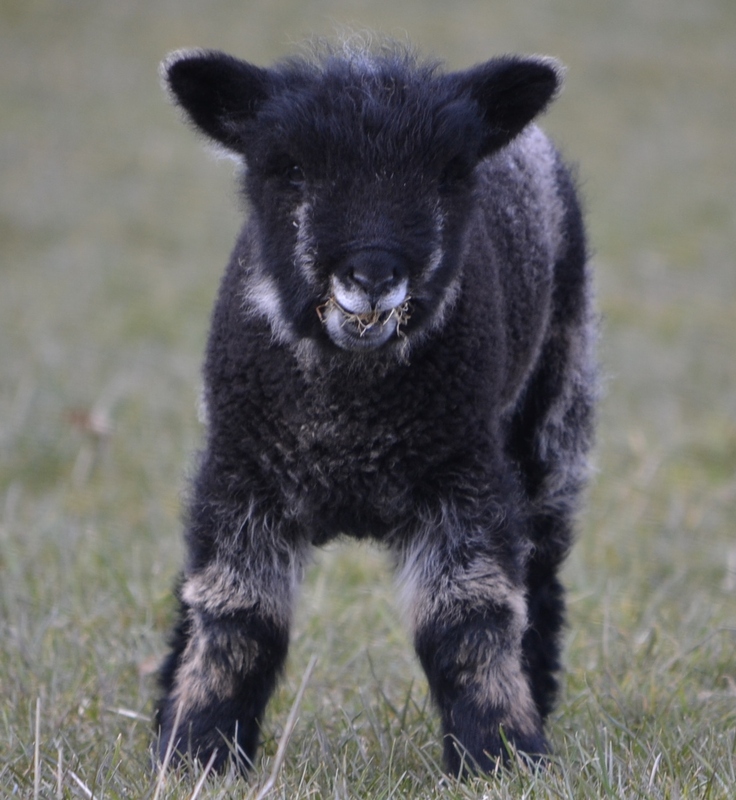 This entry was posted in Uncategorized and tagged Ewes, Lambs, Roston, Snow by Debbie. Bookmark the permalink.